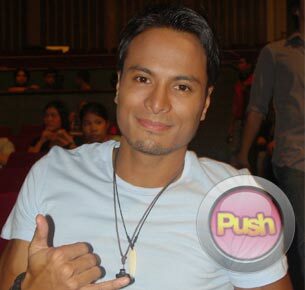 Rafael Rosell defends 'Kristine' co-star Denise Laurel on pregnancy rumors. Currently starring in the primetime drama series Kristine, Rafael Rosell cleared up rumors about onscreen partner Denise Laurel'rsquo;s reported pregnancy. Rafael, who is also close friends with the actress, said he is in no position to talk about the said issue. "I was hearing rumors din pero ako naman kasi, sa mga kaibigan ko, unless I hear the rumors coming straight from them talaga, hindi muna ako naniniwala. So I heard about it from Twitter and from other people, but I still haven'rsquo;t heard anything from Denise so I don'rsquo;t want to confirm anything," he said. The half-Pinoy, half-Norwegian actor also denied being Denise'rsquo;s real life partner after reading about the issue on Twitter. "Nakalagay dun kung ako daw yung tatay nung baby na pinagbubuntis niya. Ang sa akin, the answer is no. Any further questions should be directed to Denise," he stressed during the presscon for his upcoming MMFF movie Ang Tanging Ina Niyong Lahat: Last Na 'lsquo;To which was held at the ABS-CBN Dolphy Theater on December 2. Rafael also denied rumors saying he had a model girlfriend who allegedly broke up with him after finding out about Denise'rsquo;s condition. He clarified that he is currently single. Rafael said he has been in touch with Denise after she took a leave from the show, which further fueled rumors about her condition. "We'rsquo;ve been texting. I'rsquo;ve been asking how she is. Okay naman. But I haven'rsquo;t been able to catch up with her lately kasi dahil puro taping, puro trabaho. She'rsquo;s going through her own personal journey din. Pero never ko siya nakita nagsuka, never ko rin nakita yung mga iba'rsquo;t ibang signs. Hindi ko rin masyado alam yung mga signs, ang alam ko lang yung sumusuka eh. And never ko naman siya nakitang nagsuka so whether the rumors are true or not, hindi ko kaya i-confirm," he added. Rafael also said that to his knowledge, Denise has not been permanently written out of the show. "I think she is still part of the show. I'rsquo;m going to talk to the management after actually. Pahinga lang muna siguro with what she'rsquo;s going through," he said. Even though he is not aware whom Denise is dating, Rafael said that was good for their love team. "I think we have our own someone special naman pero nung pinag-usapan namin ni Denise, something intimate na super serious, hindi niya nabanggit sa akin. Payo ko na rin sa kanya na huwag muna ibanggit sa akin if ever may personal relationship siya na sobrang intimate para hindi masyado maapektuhan yung chemistry namin sa screen," he explained.